I’ve been traveling quite a bit for work in the past month. Hell, 3 out of the last 4 weeks were spent in Eastern Standard Time zone. So work has been pretty slow on the project. Since the last update, I’ve gotten some decent work done when back at home base. Starting off with the suspension. 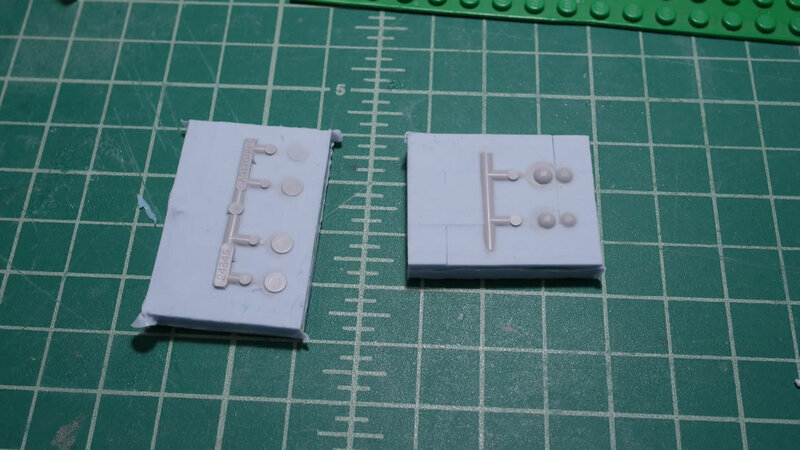 The masking for all the small bits is done and the parts get assembled. 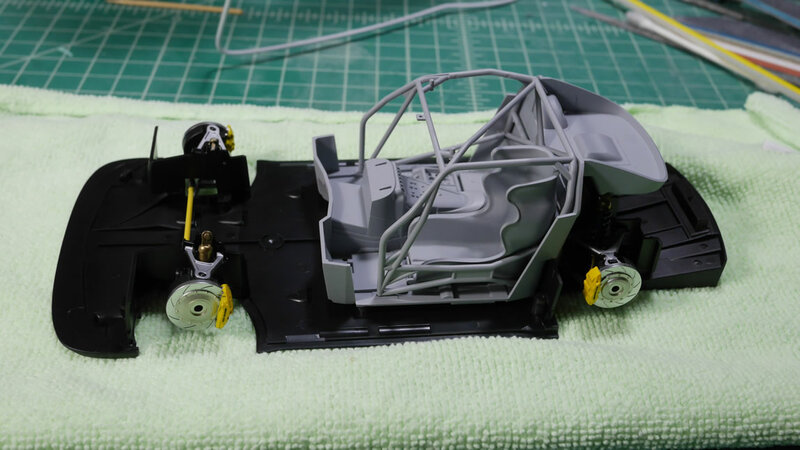 A quick test of the untouched car body over the suspension gives me a rough idea of what will be visible once everything is together. So I probably spent too much time painting things that will never be scene. 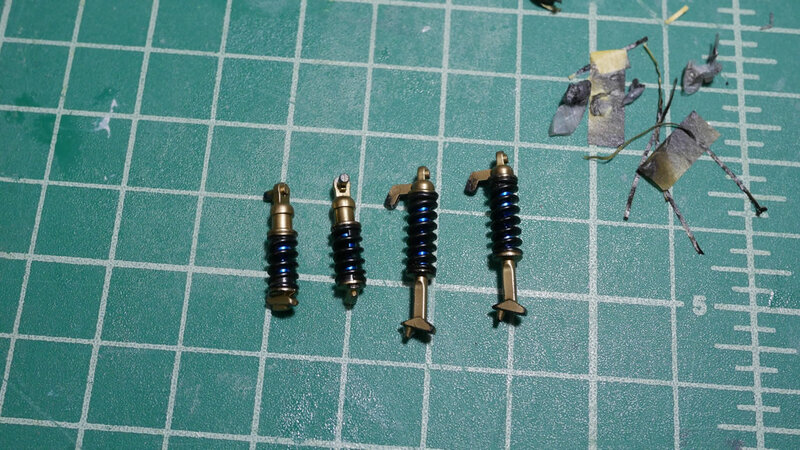 Well, I haven’t built a car in a while, so I’m stumbling through a good number of things. Next up is the cockpit so to speak. 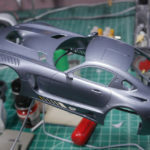 I glued the roll cage together since I needed to putty up some of the attachment points. Again, things that will most likely NOT be seeable once the whole thing is put together. 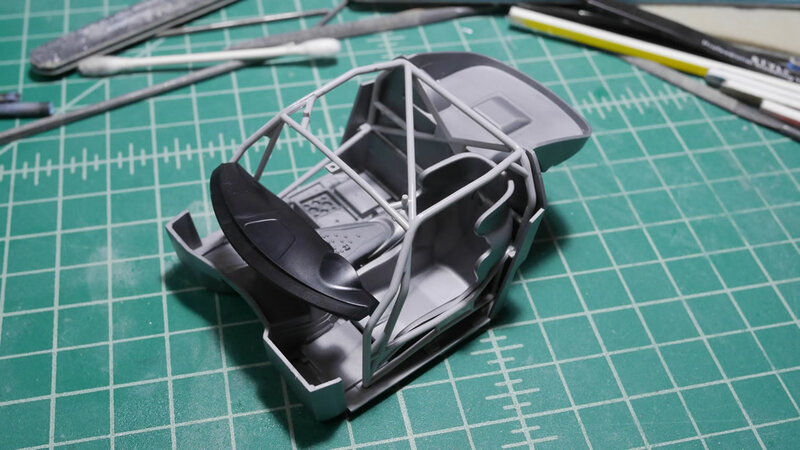 After the test fit, gluing, putty, and sanding, the cage as well as the cockpit tub is primed. Then placed on the recently finished chassis for a quick snap. More on this update after the jump. 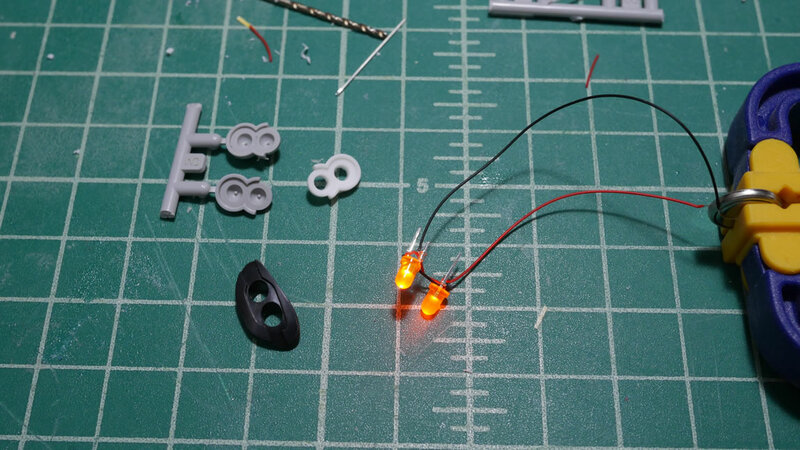 Of course… LEDs, what else? So a quick little update. I was out of town for the past two weeks so work on the thing slowed to almost a complete stop. 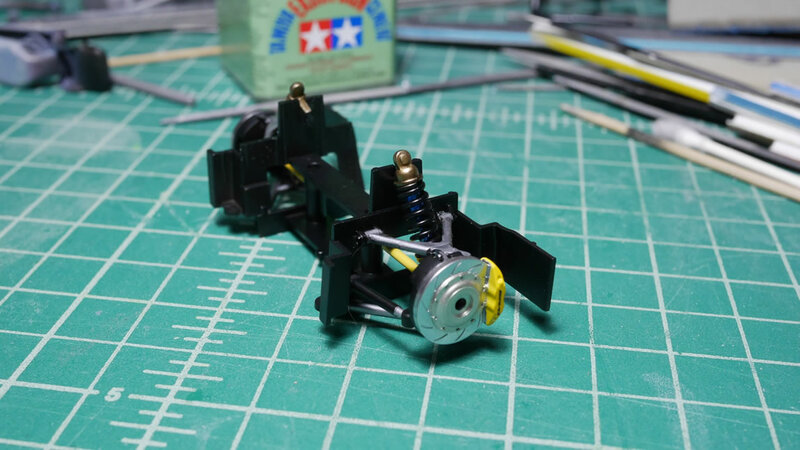 But I was able to get some paint on here and there, then after a week of curing, getting some masking, and more paint and the suspension is still being worked on, but at least I have the struts done. 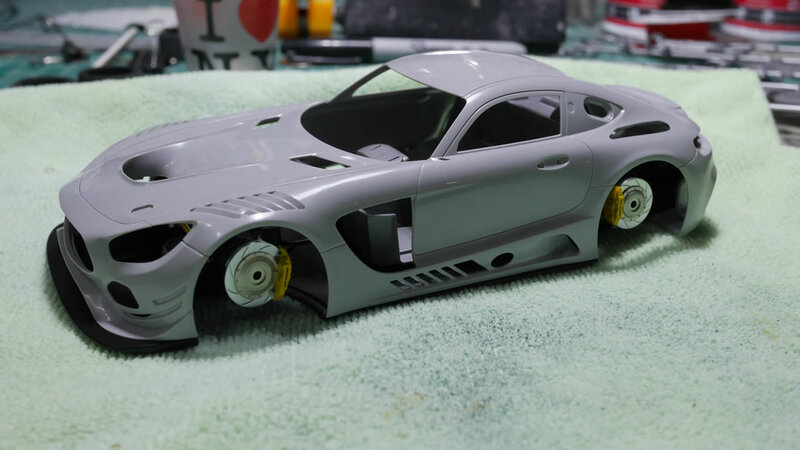 There were two levels of masking to get the three paint colors on without having to hand paint the tiny things that will most likely be completely hidden once the Mercedes is assembled. But, maybe we can see this with the wheels turned and some flashlights. The real meat of today’s story started about a week ago on my break between two trips. Sure, I’m working on a model type that I haven’t done in over ten years. 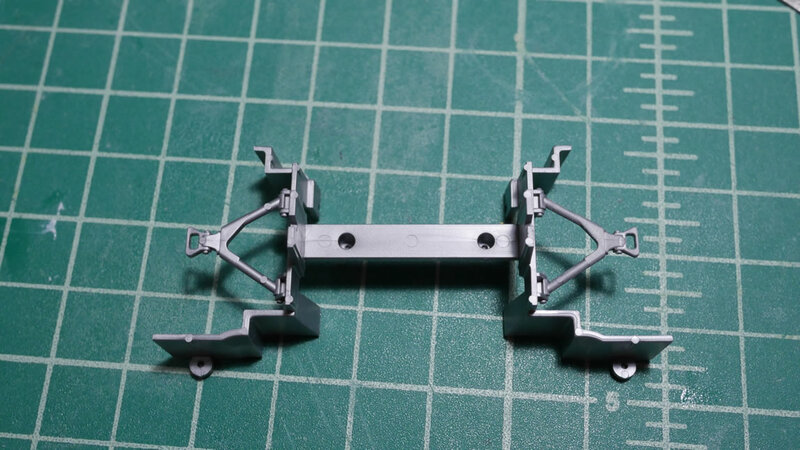 So why not make things more difficult by doing a simple mod. Go with what I know. Lights. 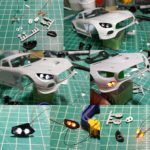 I thought about it for a while and figured I’d make copies of the headlights and foglights. They were originally chromed so that was removed with a bath in some industrial strength cleaning agent. 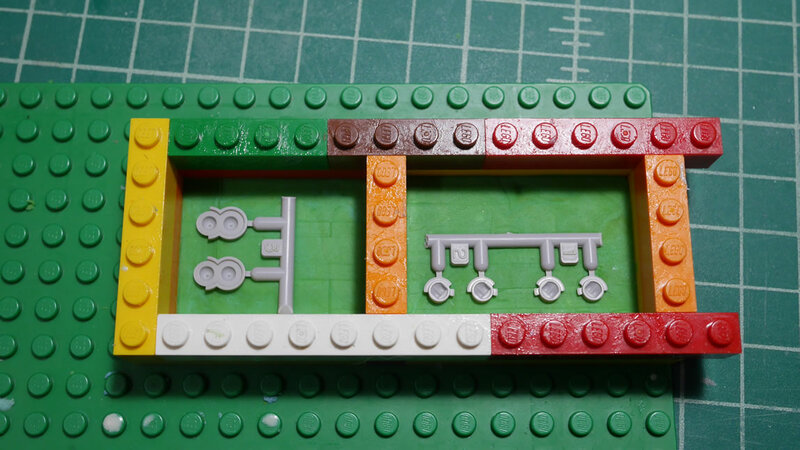 Then into a lego enclosure padded with playdough and the first layer of silicone is poured. 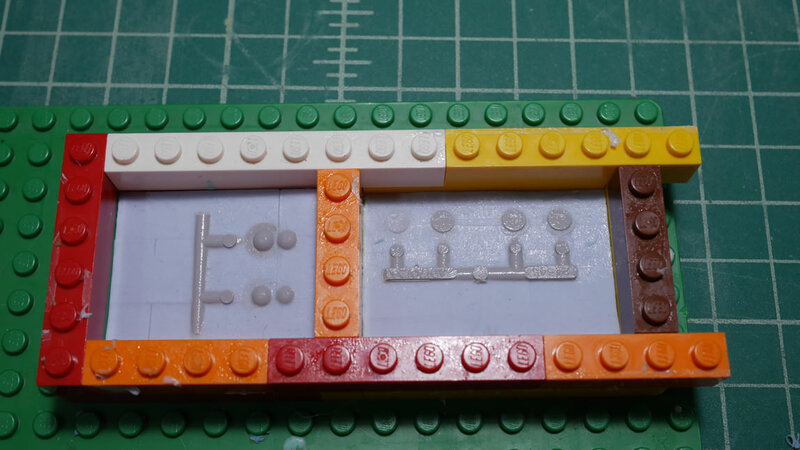 Curing for a day, the mold is removed, cleaned off, flipped over, and replaced in the lego enclosure with a brushing of vaseline to keep the next layer of silicone from completely sticking to the bottom half. Resin is poured and I now have working copies that I can mess with while keeping the originals safe. Incase this completely blows up in my face, I still have the originals to use. 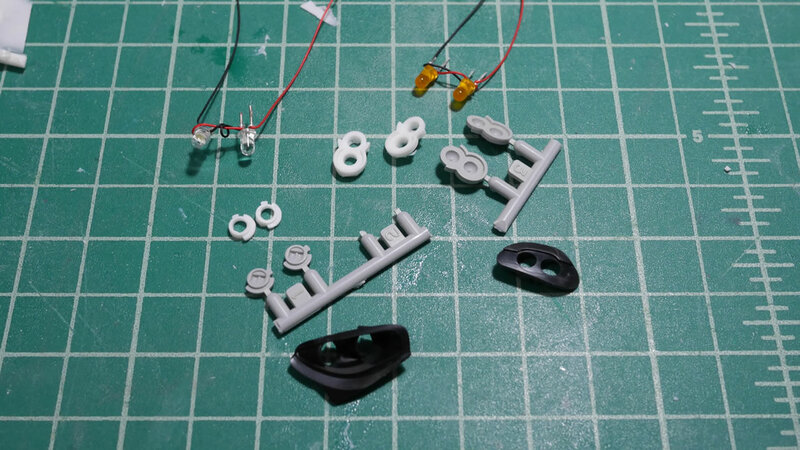 The resin copies are drilled out and some small LEDs are wired up in parallel and inserted into the drilled out space. I’m test fitting everything with blue sticky tack to hold things together temporarily. It looks fairly decent so far. The LED systems are wired and tested out. 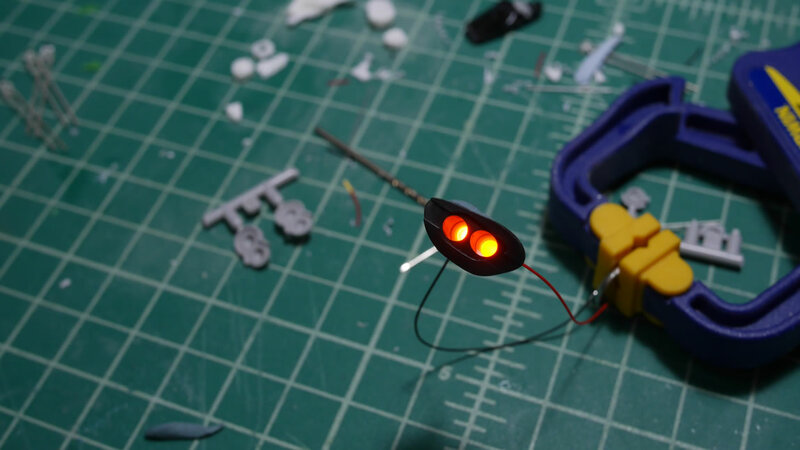 I’m using yellow/orange LEDs for the foglights and using white for the headlights. The original car has a slight yellow tint to the fogs, so I’m taking some creative license. Plus, I don’t have soft white LEDs. 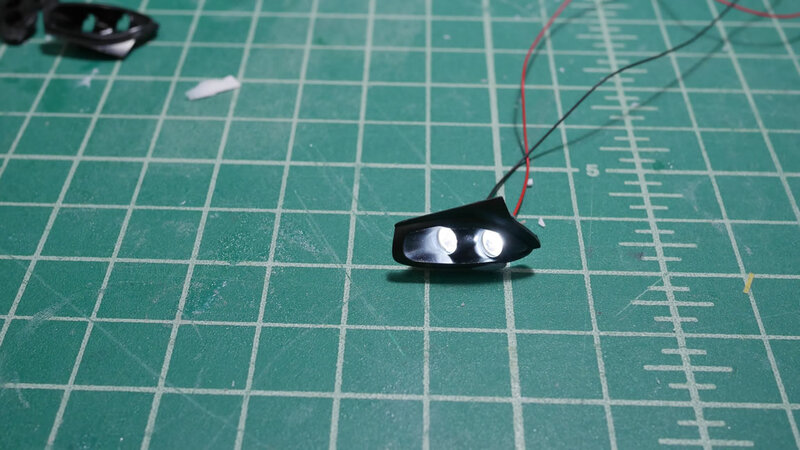 The LEDs in their new resin lenses are placed into the original housings. The fit is perfect. Some more sticky take is used to hold everything together. 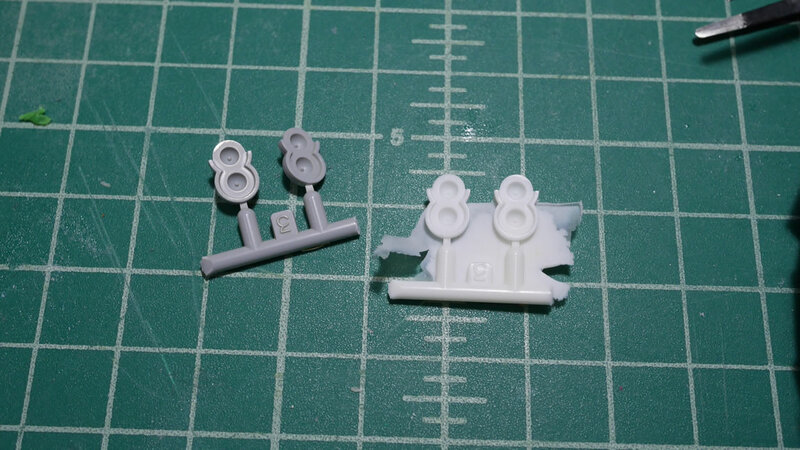 All these things will need to be glued together after it is painted. But this works for testing fitting in the immediate. 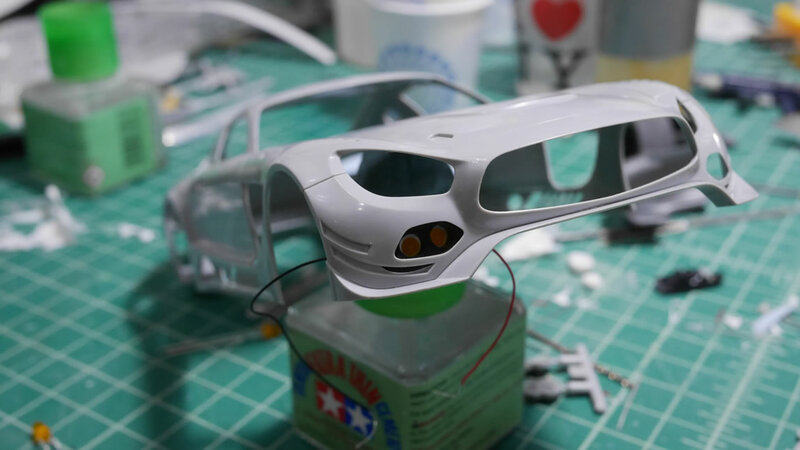 The housings are test fitted to the car body with more sticky tack and it’s starting to look pretty good. 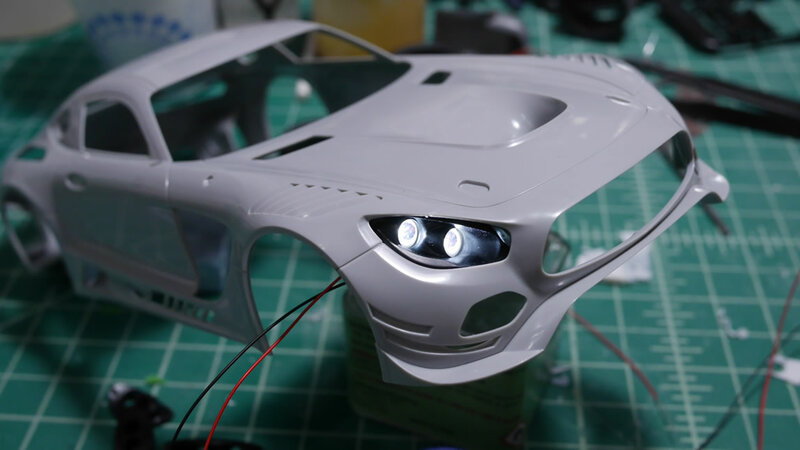 I didn’t like the detailing on the original headlight lense and I think the LED lens looks pretty close to the original projectors. So this could work. The foglight housing is test fitted and powered up. 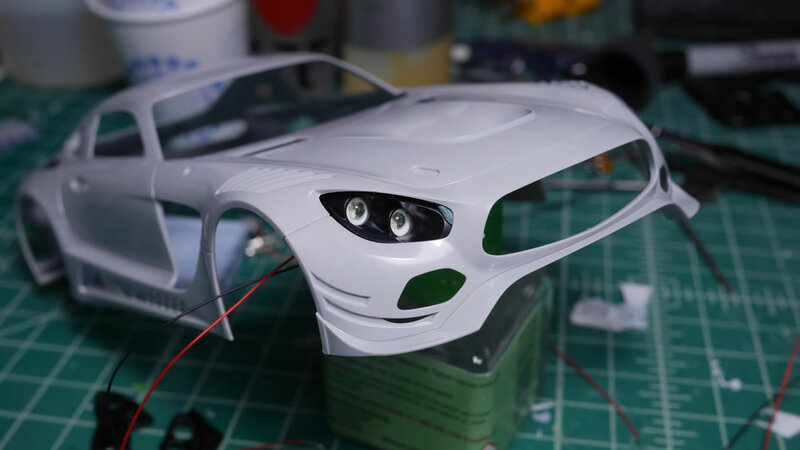 Followed by the headlight housing. I think it looks pretty cool for a quick little mod. 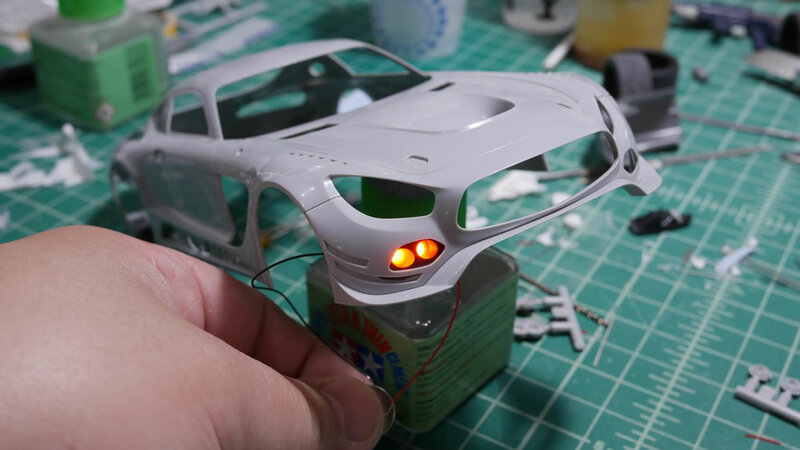 Going with what I know about LEDs makes this easier than say, cutting the hood and scratch building an entire engine.